LITTLE ROCK, Ark.— In response to a petition filed by the Center for Biological Diversity and several Arkansas-based environmental organizations, the Arkansas Game and Fish Commission has agreed to consider ending unlimited commercial collection of the state’s wild freshwater turtles. Under current law, trappers can legally collect unlimited numbers of 14 types of turtle to sell domestically or export to foreign food, pet and medicinal markets. Harvest records show thousands of turtles were caught and sold in Arkansas from 2014 to 2016. Arkansas allows turtle trapping in waters across roughly half the state, including the entirety of the Arkansas and Mississippi rivers. According to self-reporting by Arkansas trappers, 126,381 freshwater turtles were harvested from 2014 to 2016. This harvest was geographically concentrated, with two-thirds of those turtles taken from only five counties. It also focused heavily on medium and large turtles, which are most important for turtle populations to reproduce. Scientists have repeatedly documented that freshwater turtles cannot sustain any significant level of wild collection without population-level impacts and declines. For example, a study of common snapping turtles demonstrated that a modest harvest pressure of 10 percent per year for 15 years could result in a 50 percent reduction in population size. And an Arkansas study found that turtles from populations in heavily harvested areas were significantly smaller than those from areas where harvesting is not permitted. If Arkansas bans collections, it would join a growing number of states preserving important wildlife and natural resources. In February Missouri banned commercial turtle trapping, and in March Texas proposed a ban. In 2017 New York ended commercial collection of diamondback turtles, Nevada halted commercial reptile collection, and Iowa reined in trapping with new harvest limits. All of these actions were in response to work by the Center for Biological Diversity. 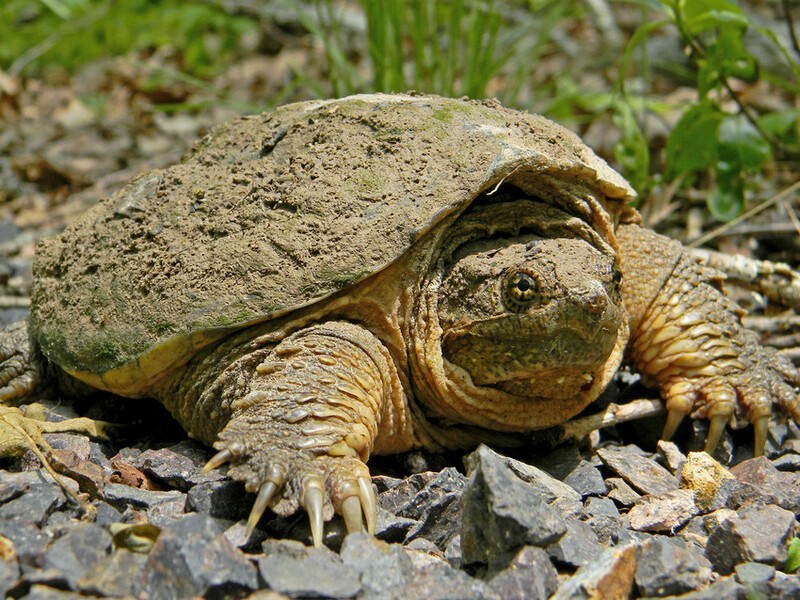 The petition to end unlimited wild turtle trapping in Arkansas was submitted by the Center for Biological Diversity, Arkansas Sierra Club, Arkansas Watertrails Partnership, Audubon Society of Central Arkansas, Environmental Resources Center, Kory Roberts and John Kelly, a biologist who recently studied Arkansas’ turtle harvest. As part of a campaign to protect turtles in the United States, the Center has been petitioning states that allow commercial turtle collection to improve their regulations. In February Missouri banned commercial turtle harvest. In 2017 Iowa adopted new regulations setting closed seasons and possession limits for commercial turtle trappers. In 2012 Georgia approved state rules restricting commercial turtle collection and Alabama completely banned it. And in 2009 Florida banned almost all commercial turtle collection from public and private waters. Common snapping turtle photo by Dakota L. This image is available for media use.